LoveNokia | Latest News and Information about Nokia Mobile: Nokia 130 (2017) now available for purchase in India!!! Nokia 130 (2017) now available for purchase in India!!! 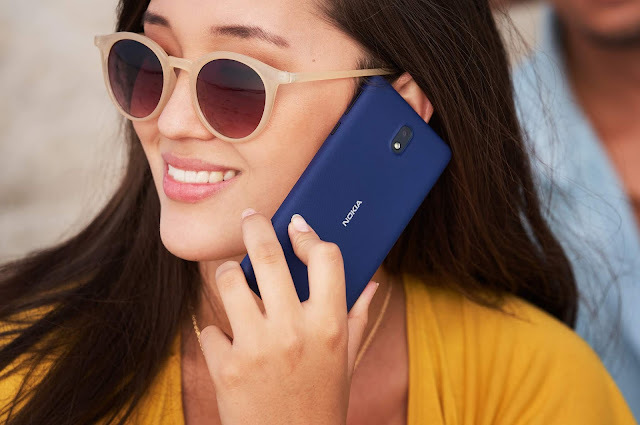 HMD Global launched the refreshed versions on Nokia 105 and Nokia 130 feature phones back in July. Nokia 105 went on sale in India soon after the launch. 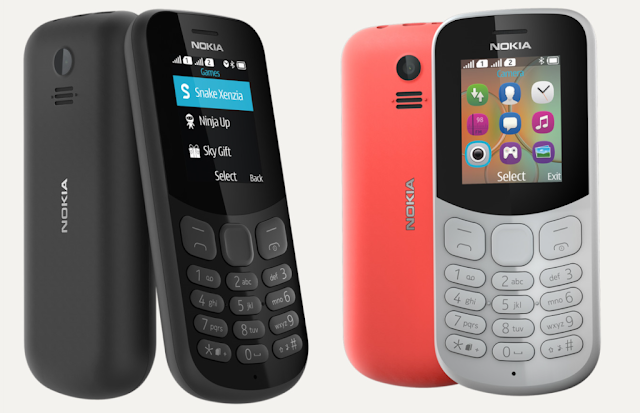 Now, Nokia 130 (2017) can also be purchased in India starting today. Nokia 130 is available to buy from offline retail stores across the country for a price of Rs.1599. Nokia 130 is a Dual Sim device and runs on Series 30+ OS. The phone comes with a VGA camera, Bluetooth, FM Radio, and mp3 player. Nokia 130 has 4MB RAM and 8MB of internal storage which can be further expanded up-to 32GB using a microSD card. Nokia 130 has a 1.8" QVGA Display and comes with a 1020 mAh battery which offers 44hrs of FM Radio Playback and one month of Standby time. Nokia 130 also comes pre-loaded with popular Snake Xenzia and five other try and buy Gameloft games like Nitro Racing, Ninja Up, Danger Dash, Sky Gift and Air Strike. Nokia 130 is made out of durable Polycarbonate material which does not lose its color even after getting scratched. The phone is available in three color options - Red, Black, and Grey. Nokia 130 can also be purchased online on Amazon.in but as of now, the phone is listed at a higher price. You can check out all Nokia 130 Specs, Features and Images by clicking here.